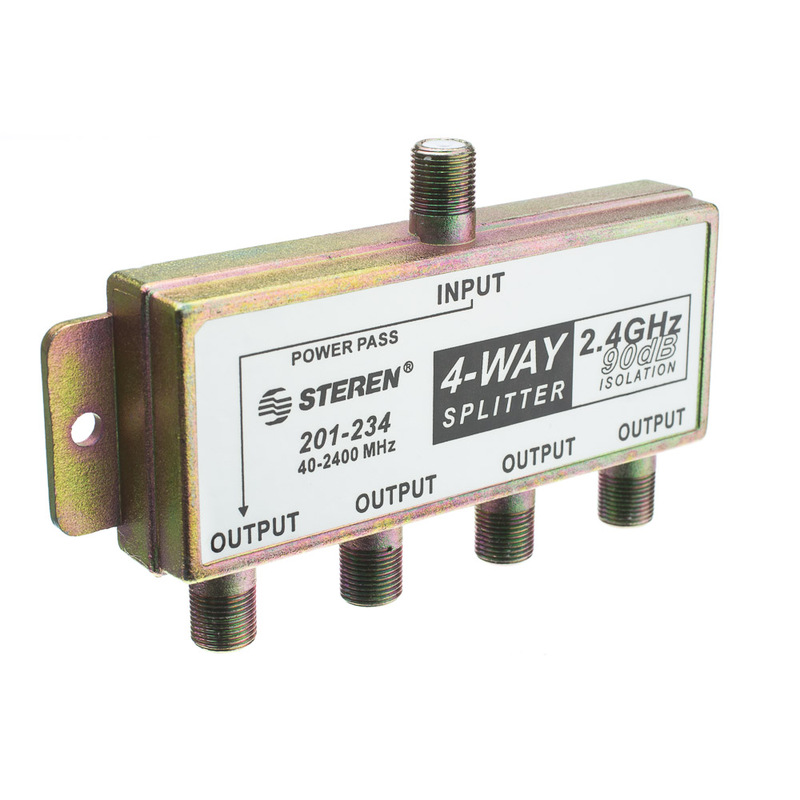 This coax splitter will work great for regular cable, digital cable and satellite systems. 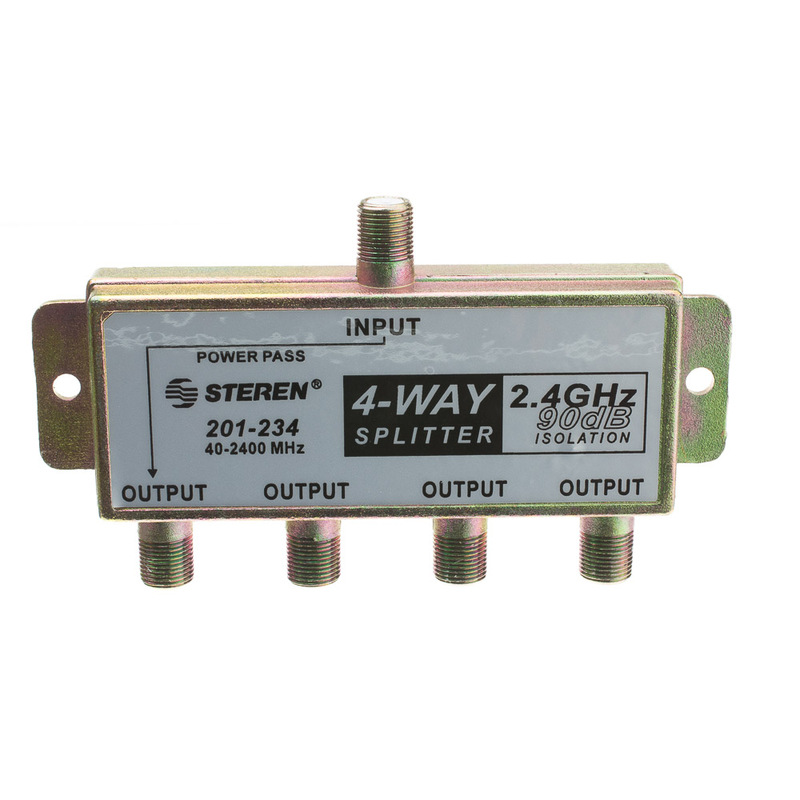 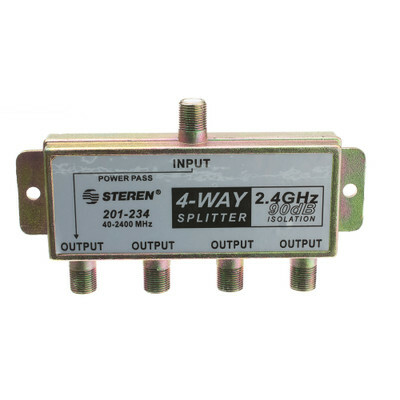 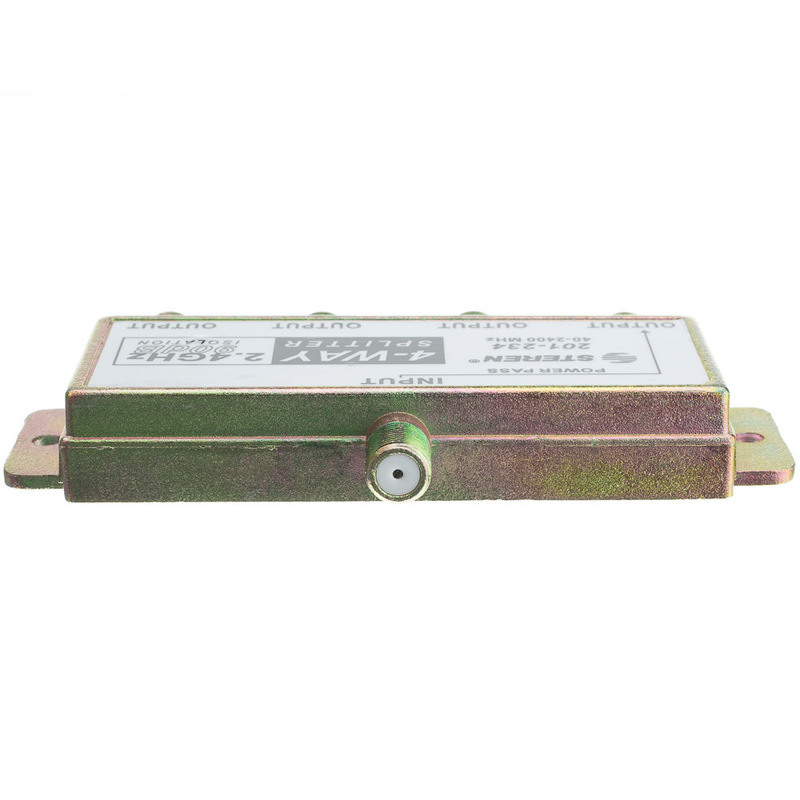 With this splitter being capable of frequencies up to 2GHz, there's no need to worry about signal loss or degradation on runs up to 100ft. 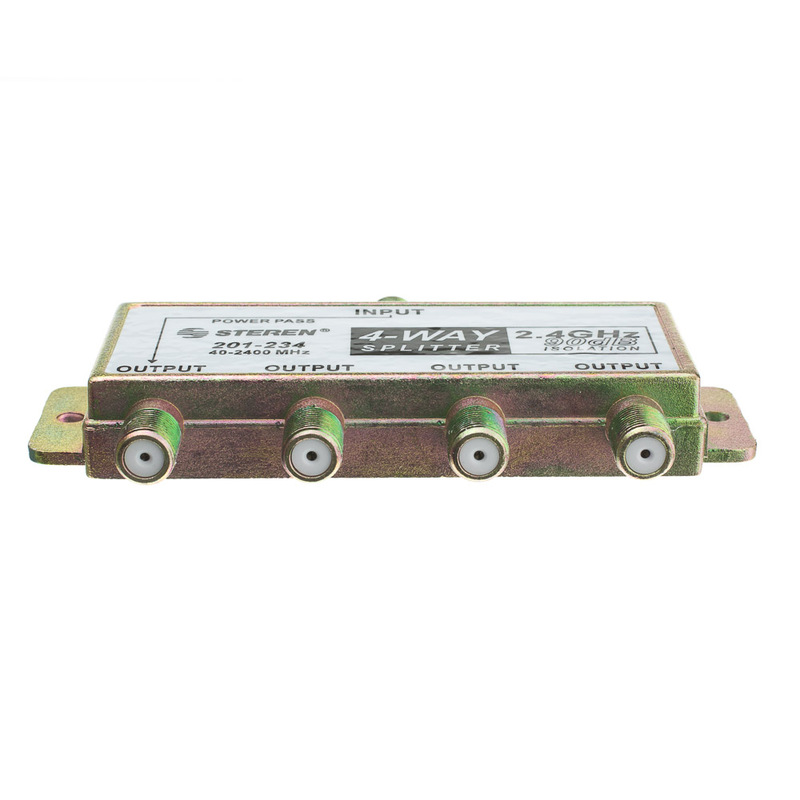 This converts back and forth between an F-pin female jack and four F-pin female jacks.